This floral wrought iron lamp originates from early 20th century France. 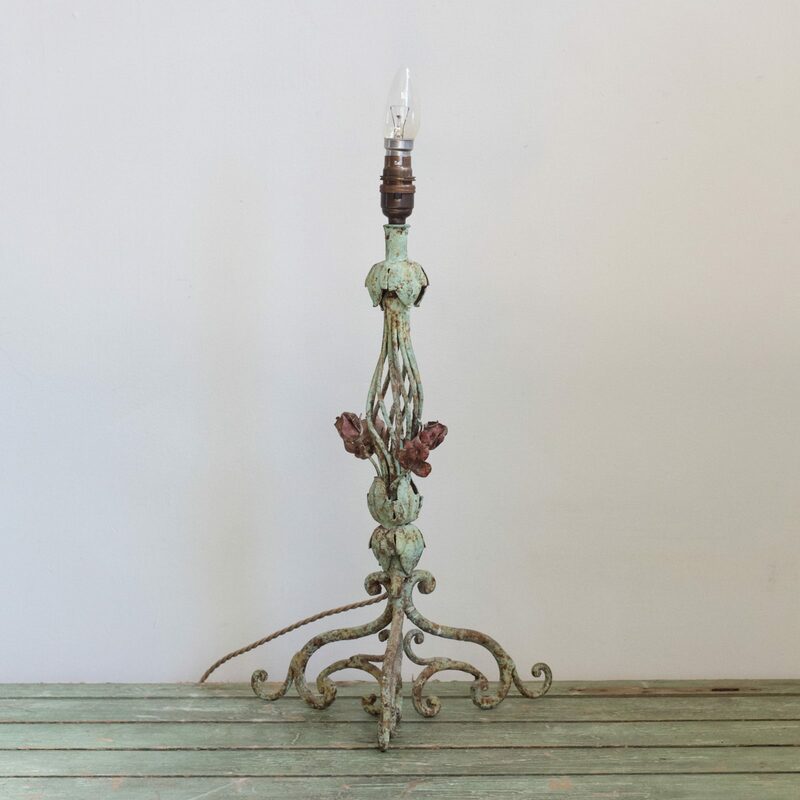 The wrought iron lamp has its original turquoise paint and over time has developed a slightly rusted patina. The wrought iron flowers are painted in their original deep pink colour. Rewired with an antique brass finish switched lamp holder and pale pink braided flex.